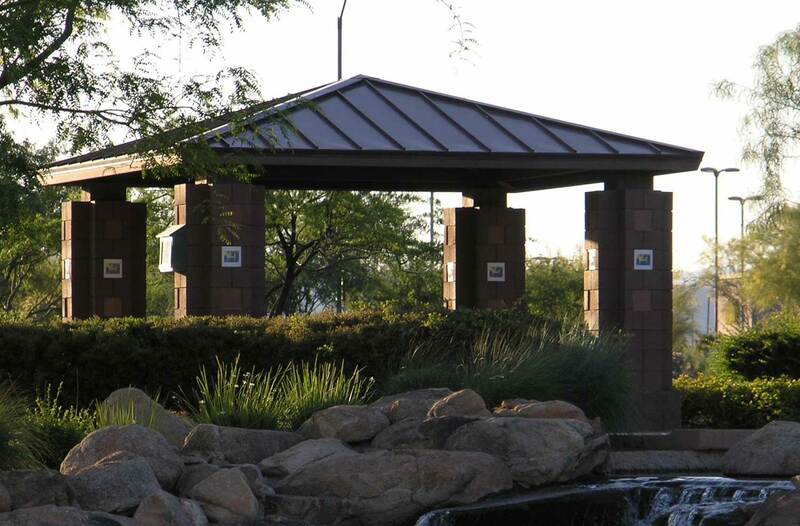 Denver Shade Structure Model with square or rectangle shapes. Available in square and rectangle, the popular Denver shade model can be designed to complement a variety of architectural styles. 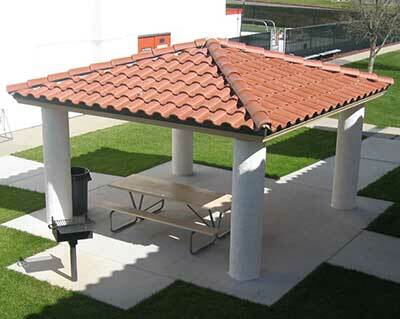 Designers may specify columns and roof to match existing architectural amenities simply by varying the column materials and design. Madeira/Vareda planned communities, Henderson, NV: 20′ x 20′ Denver model with 4′ eave, 17″ o.c. Weathered Copper standing seam roof on 2″ x 6″ T&G subroof with 4:12 pitch. 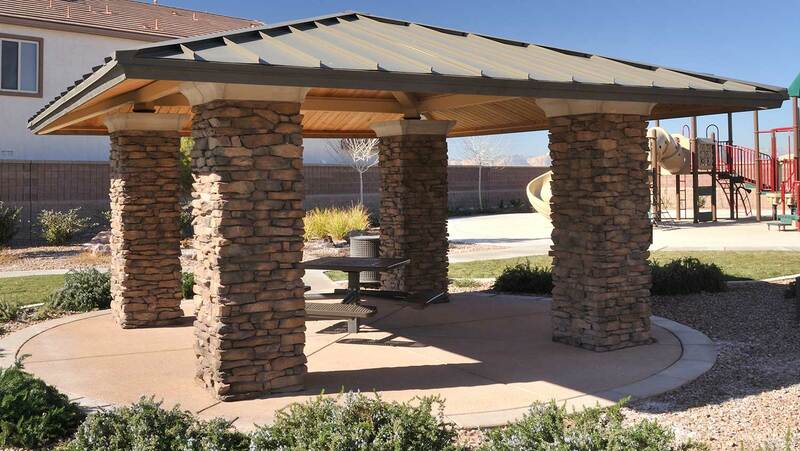 Community Park, Anthem, AZ: 18′ x 18′ with Burgundy standing seam roof w/ 2″ x 6″ tongue and groove sub-roof. The massive block columns feature hand painted tile insets depicting a variety of recreation themes within the park.